You know how it is, you start up an MMO looking forward to getting sweet-lookin' gear and mounts and taking part in epic raids... and then you spend 70 hours slaying bunny rabbits just to hit the level cap. One of the rarest weapons in the game, the Corrupted Ashbringer was a rare drop from the original version of the Naxxramas raid, attainable only by defeating the Four Horsemen, one of many hard boss fights in the hardest raid in vanilla WoW. In addition to very few players being good enough to clear the fight, the weapon is no longer available in the game due to Naxx's rework in Patch 3.0.2. 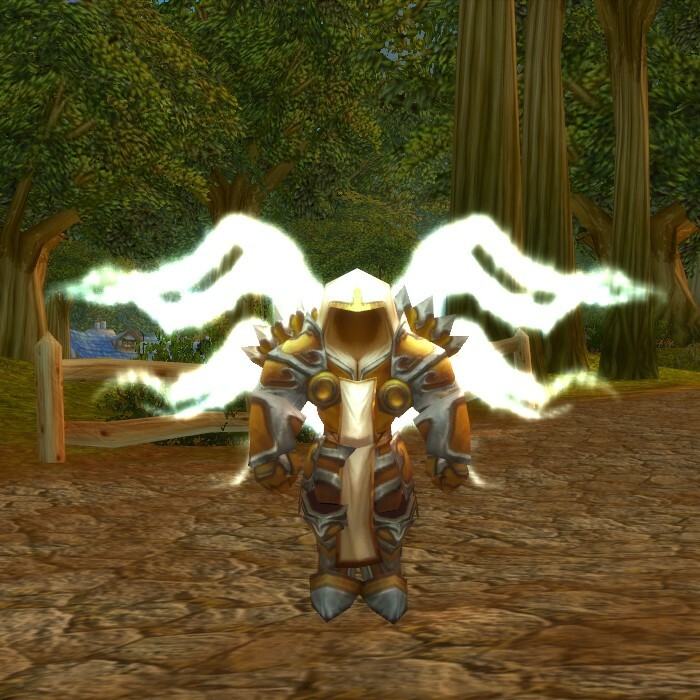 That means if you encounter a player packing the Corrupted Ashbringer in this day and age, you should /bow and pay your respects for a true WoW veteran. 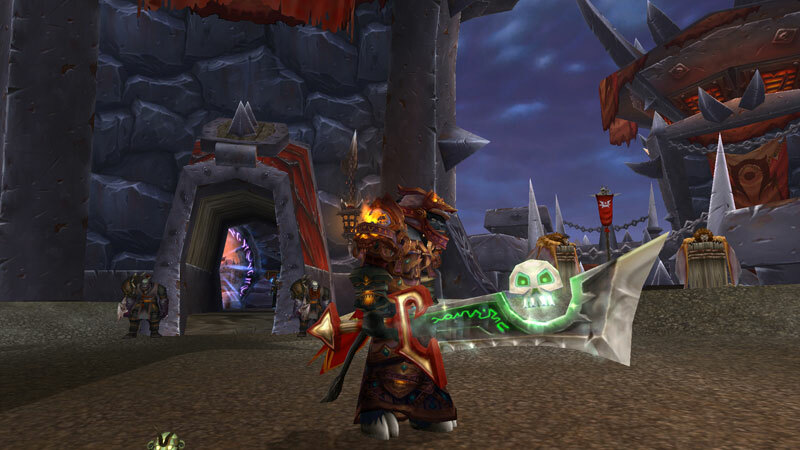 More than just a cool weapon with sweet stats and a floating skull hovering around, the Corrupted Ashbringer is basically the Soul Edge of the series. A holy blade corrupted by the death and resurrection of its wielder Alexandros Mograine as a Death Knight, not only does the late Mograine talk to you through it, but NPCs will comment on the blade and some of them will even attack you for holding it. While it's unlikely you'll be able to procure this spooky sword without buying an account — a ban-worthy offense by the way — some players lucky enough to get their hands on it back in the day have made a nice little side hustle selling Corrupted Ashbringer transmogs. Big pet collector? Love nothing better than newbs staring in awe at the cute little critter following you around? If you really want to turn heads, you need to get your hands on this chibi version of the Diablo franchise's favorite Archangel, Tyrael, the Archangel of Justice. Unfortunately, that'll be easier said than done as the pet was only available to attendees of the 2008 Blizzard Worldwide Invitational, a convention that was basically proto-BlizzCon. If you didn't have the good fortune to attend that event, you'll have to cough up a fortune to get your hands on Mini-Tyrael these days. As hype as WoW's raids are, what's even better are the game's one-time only event quests. For instance, the War of the Shifting Sands quest line was not only necessary to complete to open up the Ahn'Qiraj raid on a server, but it included a number of rare items unseen in the game since. In fact, for the final quest, only one player per server could have the honor of banging the gong to open the Gates of Ahn'Qiraj and earn the Scarab Lord title and — more importantly — the Black Qiraji Battletank. While the insectophobes among you might be a little sketchy about riding around on a giant black bug rest-assured if you ever seen someone riding one that they are a living legend.